You're never too young to get hooked or hoodwinked. Anyone with a child under the age of 13 knows how tricky it can be to limit screen time. Whether we’re on a 3-hour car ride or in a long checkout line, the only sure-fire way to keep my kid quiet and calm is to pass him my iPhone or Galaxy phone to watch a few YouTube vids or play a round of Fruit Ninja. But while many parents would balk at getting their kids their own phone before they’re old enough to cross the street on their own, Verizon thinks that’s just the solution to your problems. Rather than tie up your own phone in times of needs, Verizon wants you to consider calling a “ technology truce” by letting your tween text, call, and tweet at their leisure with their own phone plan. Before we get into the pricing of the plan, let’s dive into what makes that a “kids” plan. There’s a limit on who they can call or text, but even with parents and siblings, most adults don’t have 20 people that they regularly call or text every day. Then there’s the Verizon Smart Family Premium service, which provides things like location tracking and content filters. But it doesn’t really offer anything you can’t do on an iPhone or a newer Android phone, and any parent looking to get their pre-teen child a phone should really know their options. There’s the 5GB data cap intended to limit your kid’s phone usage. But that’s more than enough to get in trouble, especially when you factor in SD streaming and Wi-Fi. And finally, Safety Mode merely ensures that data speeds will be throttled after 5GB so mom and dad won’t get gouged on their bill when junior blows past his hefty data allotment. The cost of the Just Kids plan ranges from $35 to $55 a month, depending on how many lines are active. Since at least one of the lines needs to be either Above, Beyond, or Go Unlimited, the cost for a traditional family with two parents and one kid will be at least $145 month, with the Just Kids plan costing $45 on its own. And no one in the family will have HD streaming or so-called Premium LTE, which promises to only throttle your speeds once you hit 22GB in a month. If any of the parents want that, it’ll cost an extra $10 per line. So not only is Verizon selling a cell phone plan for kids, it’s also gouging parents by doing it. Verizon says that, “If you have three of our latest unlimited lines on the account, adding one line on Just Kids can be as low as $5 more per month, when enrolled in Auto Pay, plus taxes and fees,” but the math is super sketchy: Three lines of Go Unlimited costs $150, which presumes two parents and an adult child. By adding a fourth line, the cost of Go Unlimited drops to $40 a line, so that $150 becomes $120, provided you add a Just Kids line for $35, which brings the bill back to $155. Hence $5 more a month. 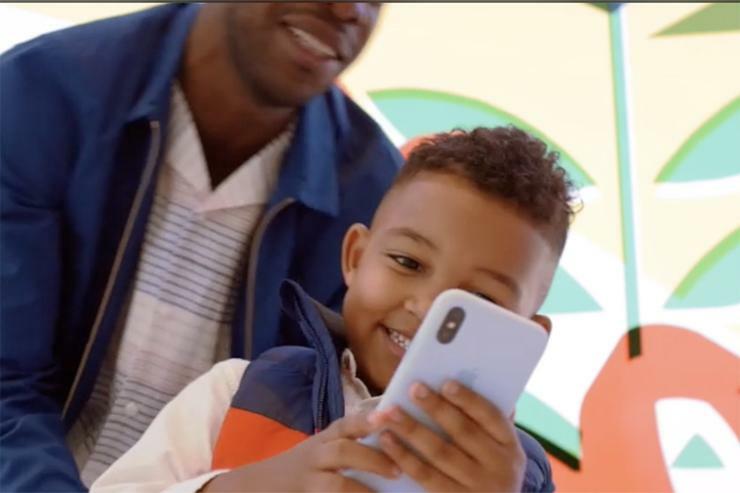 When I asked about an age range for the Just Kids plan, Verizon was coy: “The decision of when to get a child their first phone is up to parents and varies family to family. Our role is to make sure we’ve got products and services to meet their needs when parents feel they are ready.” So while it’s called Just Kids, Verizon claims the plan isn’t specifically targeted at little ones. OK sure. And neither are fruit-flavored e-cigs. If Verizon is being so altruistic here, why not just offer Smart Family Premium service for free to parents on an unlimited plan? Or let them add a line that siphons a couple gigs for $10 a month? Verizon wants parents to think that they’re making a smart choice with the Just Kids plan and that it’s “committed to making the online world safer for kids and families by providing parents with the tools and resources they need to navigate their family’s digital life.” That may be so, but they also want to get kids hooked on cell phones as early as possible. Sorry, but I’d rather wait until they’re old enough to properly handle a cell phone data plan.